Our exhibition of the winning photographers— titled Developed: Five Emerging Photographers—will open at United Photo Industries, 16 Main St, #B, DUMBO, Brooklyn, New York, Thursday, June 2, 6:00-9:00PM, and all are invited to attend. Please feel free to sign up at our Facebook event page. We would like to extend a huge thank you to all participating photographers. The high caliber of work this year made for a very competitive selection process. We want to also thank the printers at Ken Allen Studios for generously printing the pieces for the show as well as our friends at United Photo Industries for hosting the exhibition. Each winner will receive $500 cash, a Lomo’Instant Montenegro Camera, and a camera strap from Cecilia. Many thanks also to our outstanding jury members who took time out of their busy schedules to review the work. For The Last Men, Camille Michel chronicles and bids farewell to an ancient way of life. 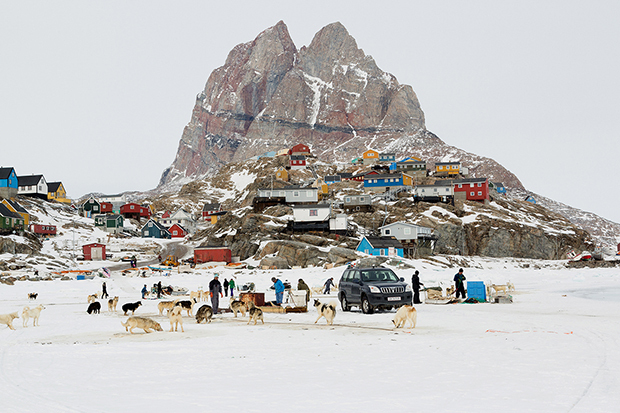 The series follows the Inuit hunters and fishermen of Uummannaq, Greenland. As modern, global influence encroaches on a once-untouchable terrain, the photographer pays homage to the final days in which man and earth coexist in harmony, as they have done for generations. 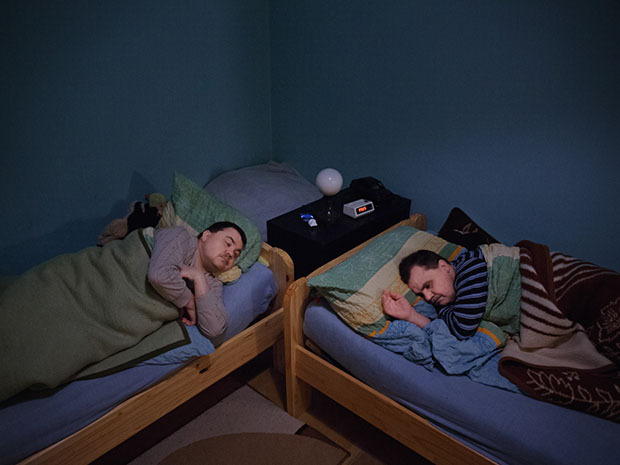 Marlena Waldthausen’s Brothers takes us into the private universe of Jörg and Rolf Fischer, twins who were born deaf. Over time, Jörg has lost his vision to diabetes. Rolf, who is also is visually impaired, though not entirely blind, helps care for his other half as the two of them navigate a precarious and uncertain world. Mariya Kozhanova’s dreamy series Declared Detachment marks a departure from the real world into the realm of the make-believe. Kozhanova creates ethereal portraits of young Russian cosplayers, who—after having come of age in an uncertain political climate—have adopted Japanese popular culture as their own. Lissa Rivera collaborates with her friend, muse, and romantic partner to create a private domain in which fantasy and real life collide. Based on a conversation in which her friend divulged his collegiate habit of donning women’s clothing, the pair constructs a series of glamorous and alluring portraits in which gender and our understanding of it becomes ambiguous and nuanced. Beautiful Boy is a testament both to the man before her lens and her abiding love for him. 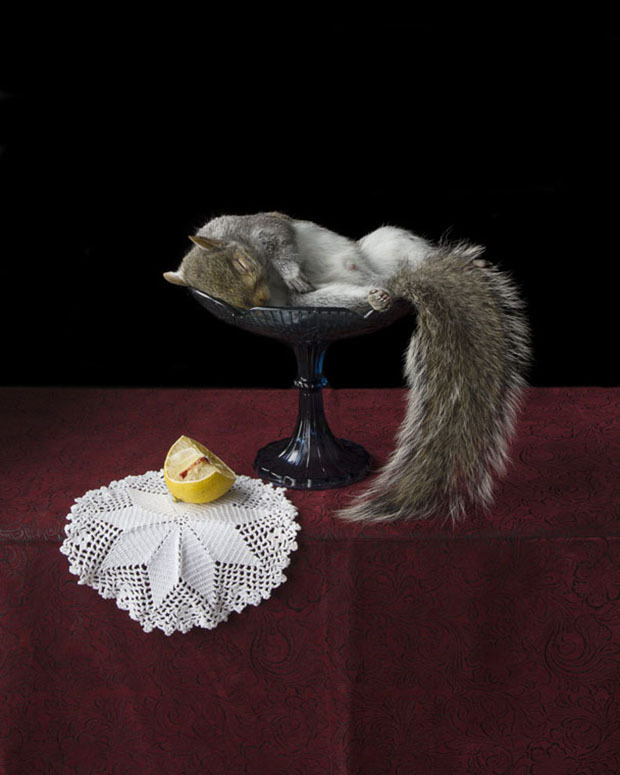 Kimberly Witham presents On Ripeness and Rot, a series of still lifes influenced by Dutch Golden Age paintings. Using once-living plants and animals, gathered from her own garden and as nearby roadkill, she gives a modern edge to the traditional vanitas, using icons and symbols to speak to larger questions about mortality and the irresistible fate that awaits us all after death.